Home / Blog / Should You Do Anything Differently for SEO in Toronto? Should You Do Anything Differently for SEO in Toronto? As you have probably already noticed, a lot of the sites, articles and companies out there that focus on SEO also focus on people who live in the United States. Just because you don’t live in the US doesn’t mean that you don’t find SEO to be important, however, and you could be wondering if there is anything that you should do differently for SEO in Toronto. Although you should know that search engine optimization is similar no matter what country or area that you live in, you might want to keep these things in mind if you want to get as much as possible out of your SEO. If you operate an informational blog or website, a site that sells affiliate products that work anywhere in the world or an online business that deals with clients from other countries, it isn’t a bad idea to target traffic from the United States and other parts of the world as well as business from fellow Canadians. If your business is a bit more geographically targeted, however, you might want to remember sites like Google.ca. 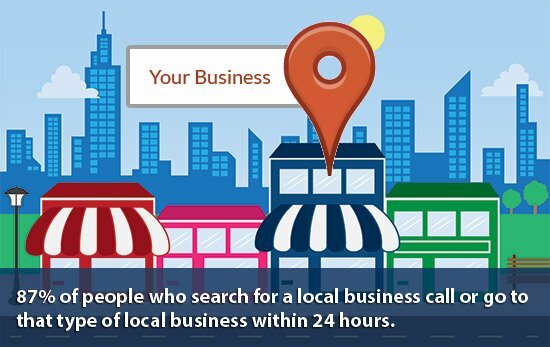 There are actually quite a few Canadian-based and Canadian-focused search engines and websites out there, and targeting your site for these places can help you bring in more local traffic. Many people choose to hire SEO professionals to help them with their search engine optimization campaigns, and doing so isn’t a bad idea. If you’re in the market for a search engine optimization company, however, you should consider bypassing companies from other countries and choose a company that focuses on offering SEO services in Toronto instead. Doing so will help ensure that your search engine optimization professional understands the needs of your local audience, and it is always a good thing to support business owners who live in and operate in your home country. Plus, you don’t have to worry as much about all of the aggravations and costs that can go along with currency exchanges. Basically, dealing with a company that offers SEO for Toronto is a pretty good idea if you have a Toronto-based website. By typing in Canadian English or ensuring that those who provide content for your site do, you can help ensure that your readers feel comfortable. Working with Toronto SEO companies, targeting your blog or website on Canadian sites and taking other similar steps can help ensure that your readership feels completely comfortable with your business. Also, if you hire a Canadian-based company to handle your SEO, you will know that you are working with people who understand the dialect, culture and more of your client base. This is definitely sure to make them feel right at home. Although many people successfully target traffic from all over the world or hire search engine optimization companies from other countries, it isn’t a bad idea to keep these simple things in mind when working on SEO in Toronto.